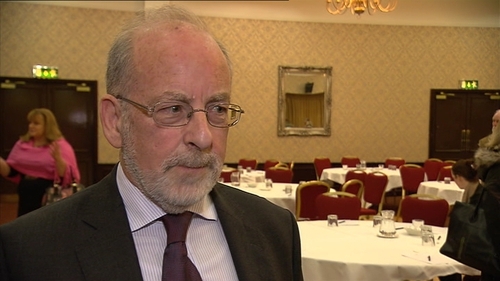 Central Bank Governor Patrick Honohan has indicated that there could be an easing of the rules that will require mortgage applicants to save a 20% deposit. Mr Honohan made the comments at the annual National Management Forum, held by the Money Advice and Budgetary Service, in Portlaoise. Last month, the Central Bank announced new mortgage rules requiring homebuyers to pay a deposit worth 20% of the value of a property. It also announced that banks will be restricted to lending three-and-a-half times a borrower's gross income. The regulations were due to come into effect on 1 January. The Central Bank said it was introducing the new rules to help avoid another property crash in Ireland and dampen the rate of price rise currently experienced in the market. However, there was political backlash to the proposed new rules and many argued the strict regulations would make it impossible for first-time buyers to get on the property ladder. 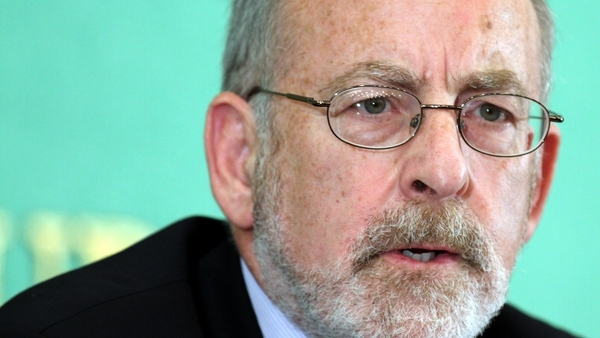 Elsewhere, the Central Bank Governor Patrick Honohan has said the introduction of a mortgage insurance scheme here is not trouble free. He said it could relieve the problem of the high deposit requirement for first time buyers. Today, the Central Bank governor outlined the role mortgage insurance could play in enabling some customers to secure higher loan-to-value mortgages. Mortgage insurance is available in many countries, including the United States, Australia, Canada, France and the Netherlands. It is an insurance product banks and building societies take out to protect themselves for any losses suffered as a result of a borrower defaulting on their mortgage. In principle, it allows a bank lend 90% of a purchase price to a borrower, the homebuyers put down a 10% deposit and a further 10% of the mortgage is insured by a third party. The cost of this insurance is borne by the borrower. Addressing the conference, Mr Honohan said that while too liberal, the use of such insurance would defeat the purpose of introducing these new restrictions, it would be less of a concern if limited to relatively small loans and first-time buyers. He said mortgage insurance would achieve relatively little if it merely shuffled systemic risk around the domestic economy and for this reason, external insurance from solid insurers would be needed. He added that he is looking forward to responses on the matter, including the practical issues of its implementation. Mr Honohan also said that limiting high loan-to-income mortgages will ensure consumer protection in the future and reduce the re-emergence of over indebtedness. The governor said the Central Bank would do all in its power to protect the new generation of households and the nation at large, from the risk of repetition of what happened before. Elsewhere, the Irish Mortgage Holders Organisation has welcomed the review. It said that a 20% deposit is excessive and particularly penalises first time buyers. The organisation said that it already proposed the 10% deposit to the Central Bank. Mr Honohan has said he was glad the letters were published. He said it brings back a very tense period and he did not want to comment on the substance of what was contained in the letters. Asked whether he thought it would be helpful if Jean Claude Trichet would testify at the banking inquiry, Mr Honohan said that even if representatives of the ECB do not come forward, he will come before the inquiry. He said he will give his "best shot" at explaining the perception of other people involved and the ECB's own position at the time, which he said "didn't exactly coincide with what he was working for"